Research on *chordoid gliomas (ChG) by Dr. Shai Rosenberg, Senior Physician in Neuro-Oncology in the Dept. of Neurology at Hadassah Medical Center and head of the Cancer Computational Biology laboratory, was recently published in Nature Communications. This research was sponsored by Hadassah France, and was done following doctor Rosenberg’s experience as a Postdoctoral Research Fellow in France in the laboratory for experimental Neuro-Oncology at the Pitié-Salpêtrière Hospital in Paris starting in 2015. 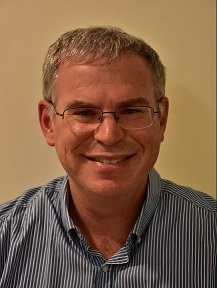 Since his return to Hadassah, Dr. Rosenberg (pictured above) combines taking care of brain tumor patients, running the laboratory for cancer computational biology and conducting research in this field. Hadassah France President, Pr. Emmanuel Messas, is very proud to support fellowships for Hadassah doctors and physicians. There are currently four Hadassah doctors working in some of France’s biggest hospitals and medical institutions thanks to Hadassah France’s financial support. *Chordoid glioma (ChG) is a rare but characteristic slow growing, well-circumscribed, WHO grade II brain tumor. This tumor develops from the anterior part of the third ventricle and occurs mostly in adults (mean age 47), with a female predominance. ChG may be revealed by headache, visual deficits, memory impairment, or endocrine disturbance. Dr. Rosenberg’s study identifies a hallmark mutation for chordoid gliomas as the disease-defining genetic event of ChG, and provides mechanistic insights on ChG oncogenesis.